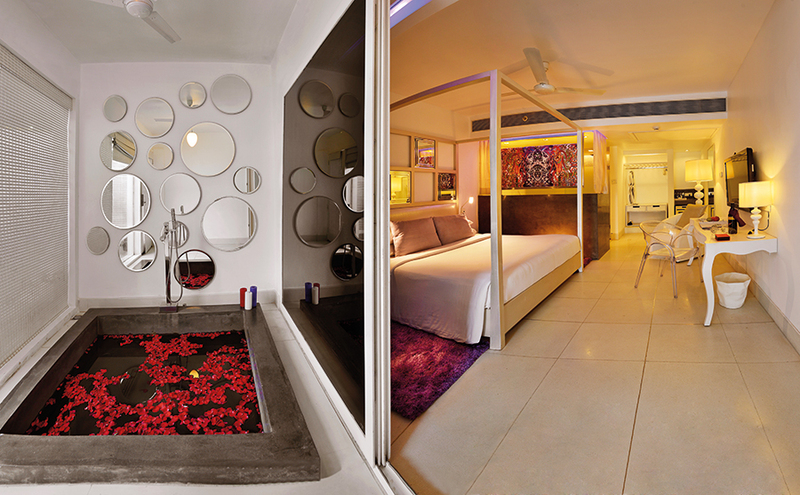 With a great deal of veracity, she can be called the First Lady of boutique hotels in India. Going beyond the visual, the chairperson of Apeejay Surrendra Park Hotels (and director of Apeejay Surrendra Group) feels that good design must encompass an entire experience. 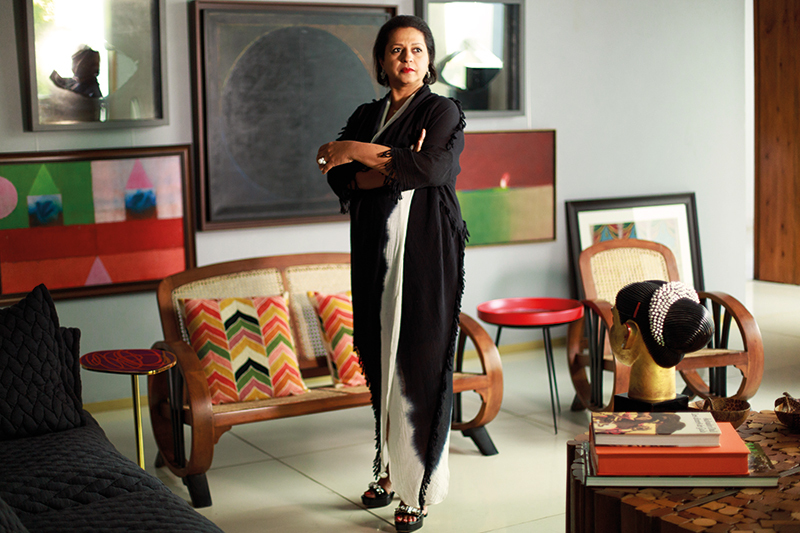 Priya Paul has, for the last three decades, developed the concept of design-led hotels, beginning at a time when most people thought that luxury properties necessarily meant big lobbies and larger-than-life ingredients. Driven by the desire to create a strong identity for her hotels, she embraced various holistic and aesthetic elements and, in the process, encouraged the coming together of different talents from the country and the world. Today, Paul’s focus remains on how to keep her chain contemporary by incorporating fresh concepts executed by edgy artists, architects and creative imaginations like Tarun Tahiliani, Conran and Partners, Prakash Mankar, Michael Aram, Chandrashekhar Kanetkar, Carl Ettensperger, Hemi Bawa and Gunjan Gupta among others. Over the years she has added many more properties to the original three (in Delhi, Kolkata, Visakhapatnam) that were in existence when she joined the group in 1988 and she continues her journey with undiluted enthusiasm. In an interaction with Verve, the inimitable Paul speaks about the way her aesthetic has shaped her professional vision and her life…. When would you say design gained in importance? Globally, as a movement it has gained traction in the last 15 to 20 years. Awareness of it is a function of education, exposure, travel, global events and also trends which have changed people’s mindsets, and the way we consume things. As a buzzword, you can say that it really took off in India in a big way in the last decade or so. When I started off in 1988, we were probably the only ones speaking about it as a language and looking at contemporary trends both in India and abroad. We used it to differentiate our hotels and the spaces in them. What sparked your initial interest? Even when I was in school, I had a creative bent. Growing up in Kolkata (or Calcutta as it was called then), I was exposed to a variety of interesting art by my parents. My sister, Priti, and I studied contemporary art and painting. She became an architect and I focused on architecture and design. My dad would take us to shows where he would often buy works for the properties. We also travelled a great deal and were exposed to museums worldwide and the aesthetics of different cities. All that shaped my sensibilities. What was the turning point in your thinking process? When I returned, after completing my BA in economics from Wellesley College, my father asked me to join him. By 1990 when he passed away, I had started working at all the three original hotels. He had already initiated their renovation and my artistic side expressed itself in the process. My aesthetics always get translated into my work — I look for originality in ideas, products and services. I remembered staying at the boutique hotel, Royalton, in New York, and that experience had left a lasting impression on my mind. When we started refurbishing our properties, I realised that they did not have to follow the traditional mould. Since I didn’t have a hotel background I was able to look at hospitality and spaces in a different way. Also, I was much younger then and I wanted to create spaces that I would enjoy being in. In the 1990s there were very few of those. Hotels in India were dull and uninspiring. I felt that they should be conceptualised creatively and be interesting places to be in. It was a question of reinventing spaces and creating new food and beverage concepts. In a way, with your boutique hotels, you broke the hotel handbook. We did start off by thinking out of the box because the prevailing handbook was a little too old-fashioned and had not kept in sync with the changing times and tastes. My role was to actually ask how things could be done differently. I have worked with seasoned managers and various designers and tried to figure out how we could do service so that it excites the customer and makes it a refreshing experience. How do you ensure that each property has its unique USP? There is no blueprint — how each place looks and feels has to be diverse. The challenge is always to do new and interesting things. Local, customised elements from the cities get incorporated into the properties there. So, even though they may have the same vibe, they all have a distinct look. For me, it’s much more creative and challenging because we do not replicate in a cookie-cutter manner. Do you have a particular fondness for any colours or creations? My imagination knows no boundaries. I am quite flexible. In my personal space, I prefer a more neutral palette because I have a great deal of art, books and junk. But I can be — and am — comfortable with colours. 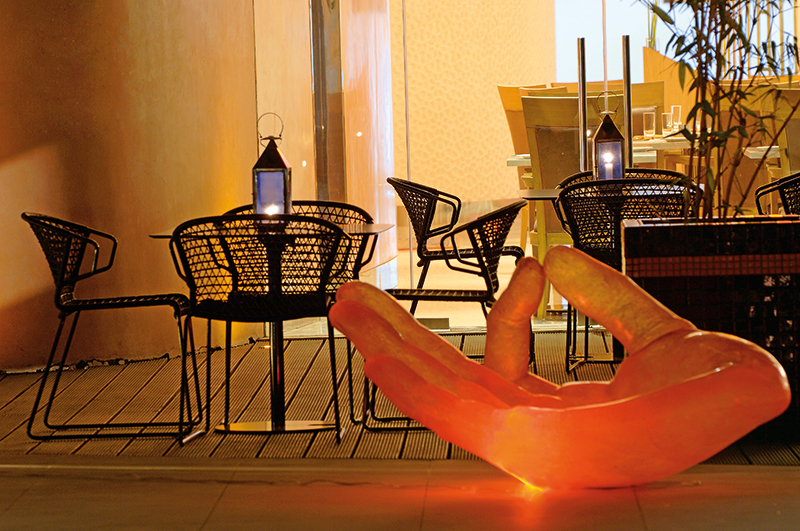 As far as the hotels are concerned, each is focused on art and design and each has its own personality. For instance, The Park New Delhi is based on the five elements — earth, water, fire, wind and space. The Park Chennai, which stands on the historic location of the erstwhile Gemini Studios has several filmi elements to it. I honestly didn’t know much about the movies but I expanded my film poster collection and we have used them throughout the hotel. The Bengaluru property is inspired by Indian landscapes; in Kolkata you will see references to the chakras and their seven colours. Each property has its own USP and it is my job to find one that is interesting and resonates with people. I enjoy bringing in local artistes and craftsmen as I think we tend to forget the craft conversation. While working with international names, how do you ensure that a strong Indian connect is retained? Having Indian elements in our work is a big part of the brief — I am very particular about that. In fact, we were recently working on our brand identity and when I felt that there were no such elements in it, I sent it back as our brand has to reflect contemporary India. I’m not a designer — whatever I know or have learnt has been due to my upbringing and exposure to different influences. You have to keep yourself open to new ideas. If you are creative, you will constantly see patterns. I have just returned from Jaipur and Agra, places that I have been to many times. But when you visit places like the Taj Mahal and Fatehpur Sikri again, you see different patterns each time. Everything seems to be fresh. You are known to be a patron of the arts. How do you spot new talent? Art has to connect with you personally. When you look at it, it is not really about how expensive it is. You might be drawn to something funny, quirky, dramatic or intensely meaningful. It all depends on the frame of mind at the moment. Years ago, there were fewer artists and mediums. Today, the options are tremendous and, yet, I still like going physically to a gallery or a show, even though I see a lot of stuff online. There are so many artists who have resonated with me — including talents like Bharti Kher and J. Swaminathan. I am drawn to photography as well and I like the works of Raghu Rai and Bharat Sikka. When you work in collaboration with other creative minds, what is your approach? Design is no longer one-dimensional. It’s multidimensional, spanning disciplines and since I also have a multidisciplinary approach, I like bringing people from different viewpoints to create spaces. Collaboration is the way ahead. I have worked with Sandeep Khosla, Aniket Bhagwat, Gunjan Gupta, Klove Studio and more. For our Hyderabad property, I invited seven to eight people to design suites — like Tarun Tahiliani, Rajiv Saini and Jean-Francois Lesage. You also regularly moderate talks on design and innovate…. We’ve always been encouraging conversations not just about design but also about more contemporary subjects. In Bengaluru, we have hosted talks with (graphic designer) Sujata Keshavan for years. This came about at the suggestion of Rajshree Pathy (founder of India Design Forum) who is a good friend. We felt that there should be more conversations about Indian practices not just in India but internationally as well. We have partnered with India Design ID, the country’s largest design event since its inception. Every year we do a pop-up cafe there in collaboration with eminent names from the industry. What are the global trends that are being implemented in India? Internationally, the most important trend has been one of eco-conscious living and sustainability. India is a large country and no one trend works here — you will find pockets of people doing different things at the same time. As far as hotels are concerned, the spaces, and how they are used, are changing. For instance, do people really use desks any more, even though every room has one? By and large, guests do not use it to do any work now, but just leave their stuff on it. We are implementing suitable modifications. In India we have a large young population and I think we will be setting global trends by the next decade. Just look at turmeric latte; that was originally an Indian concept — haldi doodh! Would you conclude that design is more integral to our lives today? It has always been integral, but now more people are talking about it.